This is the first volume of a comprehensive two-volume treatise on superconductivity that represents the first such publication since the earlier work by R. Parks. It systematically reviews the basic physics and recent advances in the field. Leading researchers describe the state of the art in conventional phonon-induced superconductivity, high-Tc superconductivity, and novel superconductivity. After an introduction and historical overview, the leaders in the special fields of research give a comprehensive survey of the basics and the state of the art in chapters covering the entire field of superconductivity, including conventional and unconventional superconductors. Important new results are reported in a manner intended to stimulate further research. Numerous illustrations, diagrams and tables make this book especially useful as a reference work for students, teachers, and researchers. 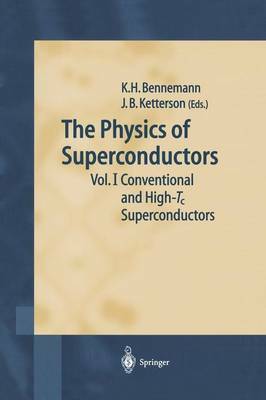 The second volume treats novel superconductors.